Making crafts for science projects is a great idea to help children learn. Many people remember things better when they see them or manipulate items to create something. For this project you'll need to do a little research to make sure you've made your diagram correctly but there are some resources listed in the stop below to help you with this. Learn about Pluto to make sure you have the facts correct and your model is accurate. You can visit http://solarsystem.nasa.gov/planets/ and click on Pluto. For more information about Pluto's moons, which will be important to your model, visit http://www.nineplanets.org/pluto.html. Prepare your styrofoam balls so that they accurately represent Pluto and its moons. 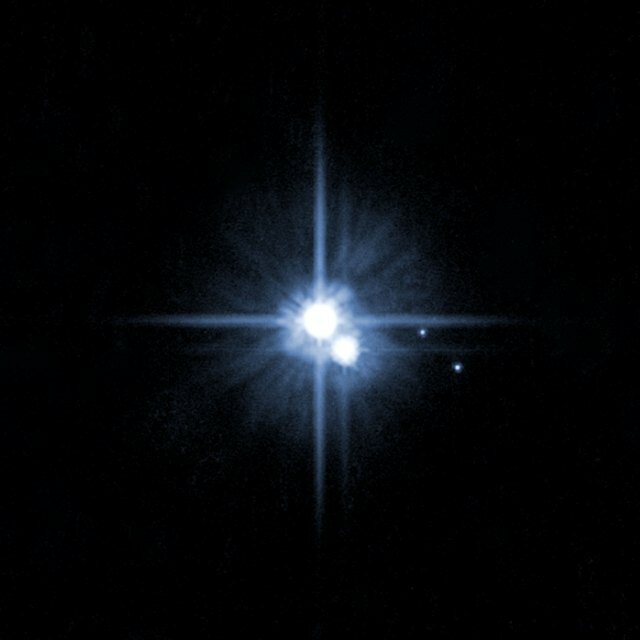 You'll notice on the the nineplanets site that Pluto is described as having one 'satellite' or moon named Charon and "two additional tiny moons". To accurately represent these you should use smaller balls for the two tiny moons than you're using for Charon. Paint the styrofoam balls to reflect Pluto and its moons. There aren't any photos of Pluto that are close enough to accurately guess what color it might be because it is so far away. For this reason you can be creative and choose any colors you like for Pluto and the moons. Insert a toothpick into each of the moons and attach them to Pluto by inserting the other end into the larger styrofoam ball representing Pluto. This gives the illusion of the moons hovering around or orbiting pluto. Insert the finished model onto a stand if you'd like it to be able to stand freely on its own. You might glue it to a wine bottle or find a nice simple base with a stick at the craft store for it to stand on. Otherwise you can hold your model as you're explaining it. Hall, Frances. "How to Make a Styrofoam Replica of Pluto." Sciencing, https://sciencing.com/how-to-make-a-styrofoam-replica-of-pluto-12741294.html. Accessed 19 April 2019.